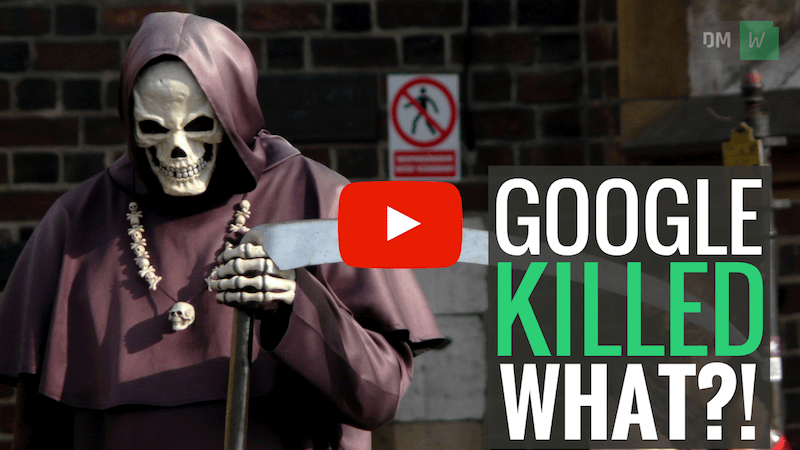 Digital Marketing Weekly - Issue 40 - RIP...Google Has SHUT DOWN What?! In breaking video marketing news this week, YouTube has announced it is closing down its 'Video Editor' tool on the 20th of September this year. The YouTube 'Video Editor' is an online tool that allows creators to add photos and text, add music, create transitions, and trim their YouTube videos. YouTube says the retirement will allow them to focus their efforts on "building new tools and improving on other existing features”. The good news is that many of the 'Video Editor' features already exist in the ‘Enhancements’ tab of YouTube’s Video Manager app, which allows creators to manage all facets of their YouTube videos. If you prefer to add polish to your videos before uploading them to YouTube, Content Samurai is an excellent alternative. It takes your video script and adds music, text, photos, and motion to give you a high-quality video that is ready to go...and it only takes a few clicks of your mouse! Twitter is launching a brand new subscription service that will automatically promote your tweets. Currently, users must promote each tweet manually which can be laborious, not to mention overwhelming for the inexperienced. Instead, the new subscription service will automatically boost “up to the first ten tweets each day”, for a cost of $99 USD per month. Twitter decides which tweets to promote, and there isn’t yet a way for users to choose or customize the promoted tweets. Subscribers will receive a bi-weekly report showing the performance of all promoted tweets. Twitter is hoping the service will attract more businesses to its platform, after reporting that its user base hasn’t grown in the past three months! If your business is time poor, this may be an excellent way to reach potential customers without having to sink time into creating Twitter ads manually. These days content theft is becoming a huge problem that is impacting more and more businesses every day. Facebook understands the importance of protecting content creators from piracy, so this week they’ve announced that they have acquired Source3, a startup that will use its IP-tracking code to catch illegal content sharing on Facebook. To help you protect your content across ALL platforms, we’ve created a video that shows you a simple and effective way to protect your content using professional watermarks. In breaking SEO news this week, Google has removed Google Instant from its desktop search page. Launched in 2010, Google Instant was designed for desktop search and would start showing results in real time as users typed a search query. With more than 50% of all searches happening on mobiles, Google says the change is to maintain a consistent experience across all devices.